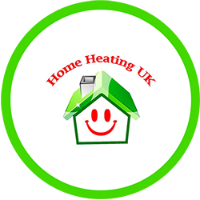 *Home Heating UK Services Ltd carries out installations on behalf of TradeHelp. TradeHelp acts as an installer and loan broker and can’t offer advice so, if you’re not sure about what is best for your own financial situation, you might want to seek independent advice. This advert has been provided by TradeHelp Ltd, Marchwiel Centre, Bryn Lane, Wrexham Ind Est, LL13 9UT, authorised and regulated by the Financial Conduct Authority (659069), registered in England (03712438).